CHV1510 Vs PHV1810 - Which is Better? What's the Difference? Which Should I Buy? A hand held vacuum cleaner is a great appliance to add to your home. The convenience of pulling out a small device to clean up small spills or accidents is more than worth the low price that you'll pay to get one of these little miracles. Whether you have small children or pets, or maybe have a tendency to be a little accident prone yourself, a hand held vacuum lets you quickly and easily clean up those small incidents. And more than that, a hand held device can often reach places that your regular vacuum just can't get to, and makes things like vacuuming sofa covers easy to do. With so many of these items on the market, you might be wondering which the best vacuum is to buy. 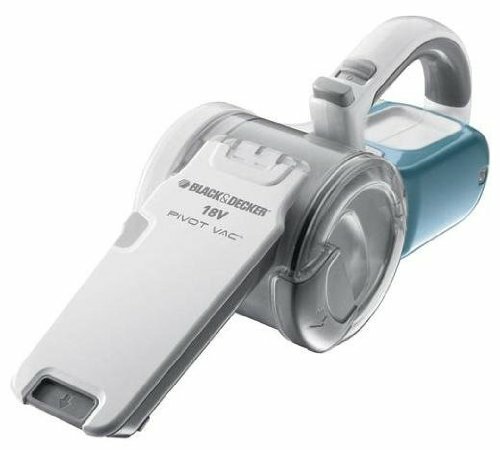 Here we're comparing two of the best hand held vacuums around, both are from Black and Decker so you know that you're getting great quality -- but the CHV1510 or the PHV1810, which should you go for? There are two specs that you need to look at in a hand held vacuum, both of which affect the performance of the machine. The first is voltage, which will determine how powerful the motor is inside the vacuum, and therefore how much power in general the device has. The more powerful a vacuum is, the better it's going to perform. In this case, the 1810 wins out over the 1510, since the 1810 has a full eighteen volts of power (hence the name), whilst the 1510 gets only 15.6 volts. The second thing that you need to look at is something called air watts. Air watts measures the flow of air through a vacuum, the higher the number, the higher the amount of air going through the machine. And more air results in more suction power, and therefore better cleaning. In this respect the 1810 again comes out on top, since it has a thirty five air watt spec over the 1510's twenty five air watts. Finally, you might want to consider one additional thing that may affect performance, and that's capacity. Capacity refers basically to the amount of dirt your vacuum can hold before it needs to be emptied. Partially, this is a question of convenience, since you don't want to have to empty your vacuum all the time. But it can also be a question of performance since many vacuum cleaners begin to lose suction power as their bag fills up, meaning that the larger the capacity the better the long term performance will be. And here is where the 1510 comes into its own, since with a 20.6 ounce capacity it does far better than the 1810 with its mere 16.9 ounce capacity. But generally, power and performance is far better on the 1810 than on the 1510. When it comes to features, these two models are generally the same, and yet each has its own unique characteristic. Both models are small and light (roughly 3 lbs) - with ergonomic touches (e.g. fitted grip), all important aspects in a hand held cleaner. They also are both cordless, and have washable filters and pre filters, so they have excellent cleaning power. There is an on board brush to help clean up more stubborn stains, and both models can be wall mounted. When it comes to uniqueness though, there are some interesting features. The 1810's defining feature is its pivot head; the vacuum head itself is flexible and can move, making cleaning in hard to reach spots far easier. The unique aspect of the 1510 is its cyclonic action, which spins dust and dirt around continuously, thus keeping it away from the filter so that it doesn't impede suction. Should I Buy a CHV1510 or PHV1810? 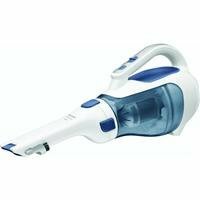 Both of these make great choice as hand held vacuums, and they're very similar in price. For power and performance, the best choice is going to be the 1810 model, its additional voltage and air watt specs will ensure that the 1810 cleans up anything that you throw at it, and the pivot head will mean that you'll get that stain, no matter where it is. However, if you need a hand held vacuum for continuously cleaning up small accidents, rather than hard to clean stains, the 1510's extra capacity will let you go longer without emptying the machine, and the lack of power won't be an issue. So, depending what you're looking for, either of these models will make a great choice. Which model will you choose & why? Also, if you have any questions, comments or concerns about either the comparison article -Black and Decker CHV1510 vs PHV1810 or about either model specifically, then please be sure to make them in the comments section just below and we will be sure to get back to you as soon as possible.